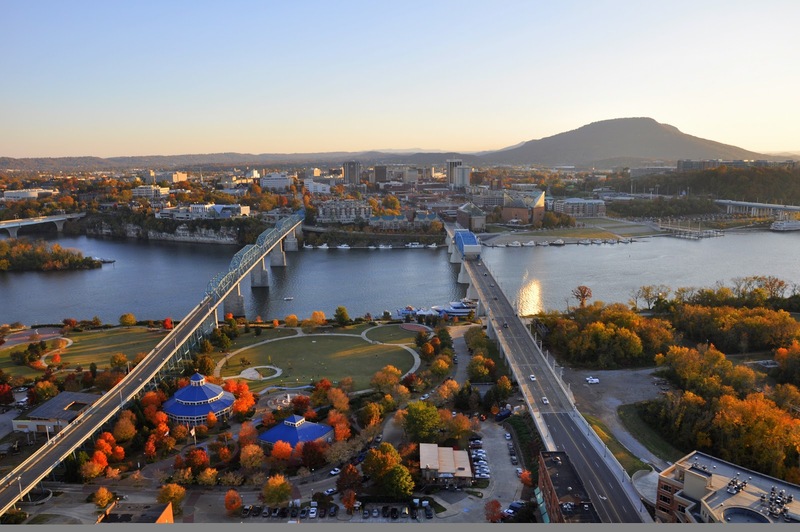 It may sound a bit old fashioned, but the civic pride in Chattanooga, Tennessee is infectious. Take the Chattanooga Whiskey company. In 2011, founders Tim Piersant and Joe Ledbetter had the bright idea to revive the long tradition of whiskey distilling in Chattanooga. Unfortunately, a Prohibition-era law forbade them from doing so in Hamilton County. Instead of giving up, they started distilling whiskey in Indiana and launched a two-year grassroots campaign to change the law—Vote Whiskey!—so they could bring their operation back home. In 2015, the Tennessee Stillhouse opened its doors, selling the first legally distilled, homegrown Chattanooga whiskey in a century. This is Chattanooga. It’s ambitious, it’s fiercely local, and it’s small enough to get everyone in a room together. 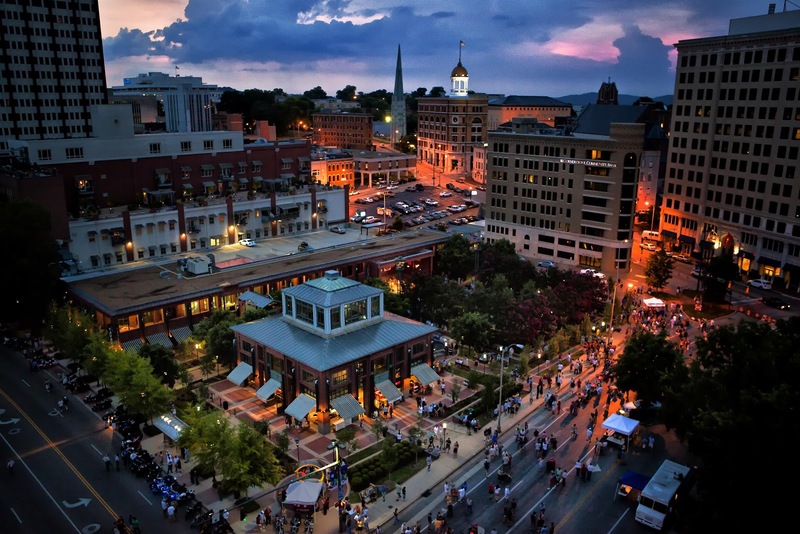 That strong sense of community is just one reason that we are thrilled to announce that Project for Public Spaces’ 3rd International Placemaking Week will take place in Chattanooga, TN, USA! This year’s Placemaking Week will be held on October 1–4, 2019 in a variety of venues around the city’s downtown area. Working with our co-hosts The Innovation District of Chattanooga, we look forward to presenting an inspiring and engaging week full of hands-on conference sessions, off-site workshops and tours, and networking events. Beyond its love for all things local, here are some more reasons we selected the “Scenic City” to host the biggest placemaking event of the year. 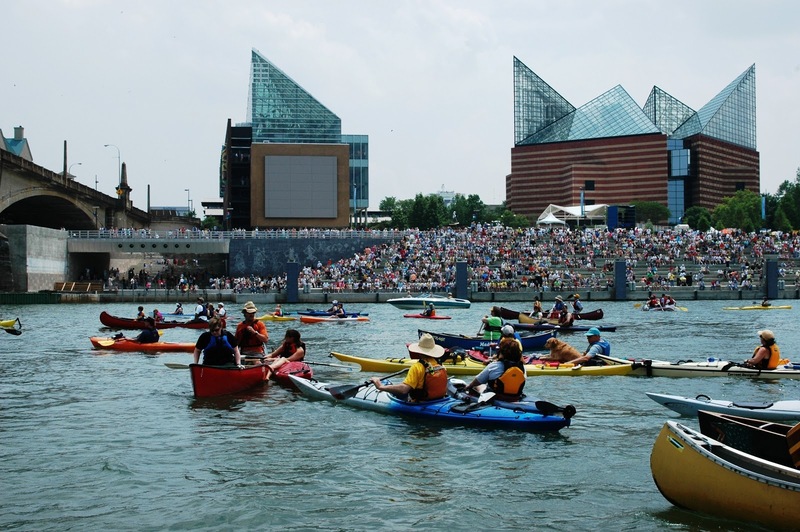 In the 1970s, Chattanooga began a series of radical experiments in bottom-up city planning: first to reimagine the Tennessee River, and then to create a citywide vision for the year 2000, for which the Lyndhurst Foundation funded a public process that engaged thousands of ordinary Chattanoogans in visioning the future of these places. While this unique initiative ended in the 1990s, its legacy is everywhere. A 1992 study discovered that 223 programs and projects could be traced back to the Vision 2000 process, generating $790 million in investment. Not the least of these projects were the 22-mile Tennessee Riverpark, the Tennessee Aquarium—once the largest freshwater aquarium in the world—and the preservation and pedestrianization of the Walnut Street Bridge. It was bold, if imperfect, experiments like this that inspired Project for Public Spaces in the 1990s to shift from a long history of observing and analyzing how people use public spaces to engaging people in observing and reimagining the spaces themselves—in a word, placemaking. Today, the Chattanooga buzzes with activity. On the weekend following Placemaking Week this October, participants can take advantage of one of the city’s busiest times of year for events in Chattanooga, including the 3 Sisters Bluegrass Festival, Wine Over Water, a wine-tasting festival on the Walnut Street Bridge, and the Big 9 Roots Festival, a daylong event celebrating the history of the city’s MLK Blvd as a mecca for music and culture in the South. ‍2. CHATTANOOGA IS A LEADER IN INNOVATION. Innovation districts, which have been a focus of a joint program between Project for Public Spaces and the Brookings Institution, usually take the form of clusters of startups and business services organizations anchored by large universities or medical institutions. But without those kinds of institutions, Chattanooga has taken an inventive approach, anchoring the district with the 11-story Edney Innovation Center, which is home to a business accelerator, drop-in and event space, co-working spaces, and private offices. Such multi-use community destinations are popping up in innovation districts and research parks around the country, but in Chattanooga, they have put one at the heart of their strategy. Chattanooga’s Innovation District is working. 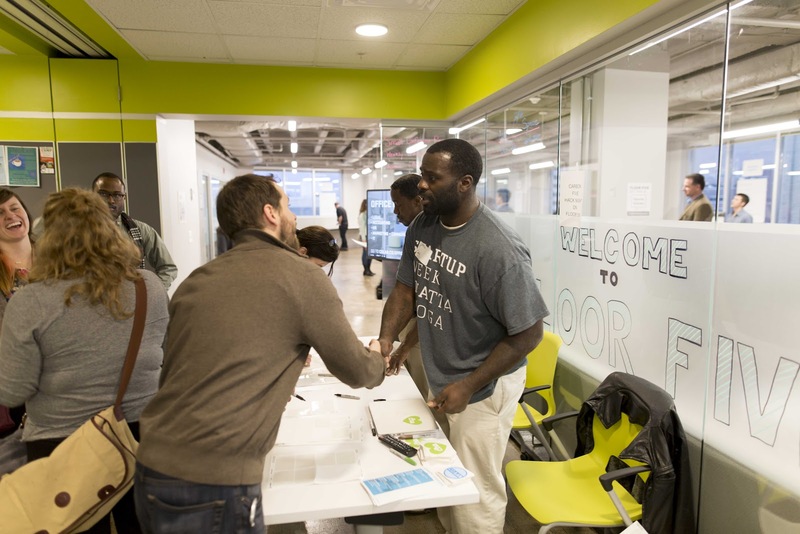 With more than 150 events each month in the Edney Center’s community space, diverse groups of people are connecting and businesses are growing. This entrepreneurial and place-based approach to economic development will prove especially important as sustainable and equitable job growth in the city remains a concern. Chattanooga’s story has not only been about train tracks, placemaking and entrepreneurship. Like many cities in the United States and beyond, its story is also inseparable from legacies of racial and economic inequity. Harassment, profiling, and many more subtle forms of discrimination in public space are just some of the ways that this legacy continues to play out today. Although radical for its time in many ways, even the vaunted Chattanooga Way had its blind spots. 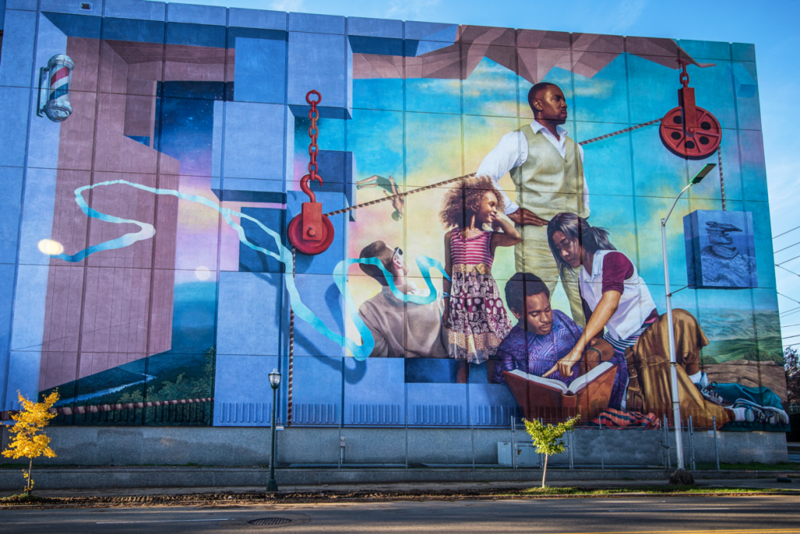 “I’m proud of what we’ve accomplished so far, but we still have a very long way to go, when it comes to creating a city that is welcoming for all,” says John Edwards, owner of the Chattanooga News Chronicle, a local African American-owned weekly newspaper. While Chattanooga weathered the Great Recession better than most communities, residential segregation and racial gaps across education and income persist. Shifting equity from conversation into action is always messy, incomplete, and absolutely necessary. Public space can be a crucial place for reckoning with this legacy of exclusion and division, and for testing out how we might break down these barriers and build something new together. Placemaking Week will provide an opportunity to explore how placemakers can contribute to this process. Mid-size cities are an underappreciated resource in the United States and around the world. They play an important role in the social and economic lives of their regions, and compared to their more urban peers, they often have unique assets to leverage and challenges to overcome. With only 179,000 people, Chattanooga certainly punches above its weight in this respect. Mid-size cities play an especially important role in the American heartland. Many U.S. initiatives are now retraining their focus on the places between the coasts, including the Walton Family Foundation’s Heartland Summit, the Brookings Institution’s recent Heartland Factbook, and the Rise of the Rest campaign and investment fund. Project for Public Spaces has a long history of working in the heartland too, including our collaborations with Community Builders, the National Main Street Center, and our Citizens’ Institute on Rural Design™ program. This year’s Placemaking Week will showcase how a community-based approach to public space can play a role in defining the future of the heartland. We think people may be surprised by the lessons that they can learn from a place like Chattanooga, and bring back to their own home, whether it’s a small town or a big city,” says Mary Stargel, Director of Innovation District Programs at the city’s Enterprise Center. 5. CHATTANOOGA KNOWS HOW TO HOST A CONFERENCE WITHOUT WALLS. Chattanooga’s compact downtown and free shuttle bus service also means that this year’s Placemaking Week will not take place in a hotel or conference center. Instead, the city will be our venue, taking advantage of the many community-oriented organizations and spaces clustered in the innovation district. The event will include unique venues like the Edney Innovation Center, the buzzing entrepreneurial hub at the heart of the innovation district; the Waterhouse Pavilion, a beautiful open-air event space that serves as a “basecamp” with WiFi and refreshments during Startup Week; and the Bessie Smith Cultural Center, an African-American museum and performance hall. All this and so much more is within an accessible five-minute walk. Much like in Amsterdam, Placemaking Week in Chattanooga will also include tours and workshops in real public spaces around the broader region. We encourage you to sign up for the Placemaking Week newsletter to receive all news updates and important information relating to this event. Stay tuned for a series of announcements over the next two months that will provide further details about Placemaking Week 2019, including a Call for Proposals to open in February, as well as details on registration, travel and accommodations in late Spring, and of course, our exciting program. We have much to learn from this historic and entrepreneurial southern city, so we hope to see you’ll join us for the biggest placemaking event of the year in Chattanooga this Fall!